One statistic you may see cited more rarely about Samsung's new Galaxy S8 is the performance of its battery cell over time. We spoke to Samsung about the new generation of battery found in the S8 and S8+, and they had a pretty impressive statistic to share. Compared to the outgoing Galaxy S7 and S7 edge, the S8 and S8+ will lose substantially less of their effective capacity over the same amount of time, at least at the point of two years of typical usage. Specifically, Samsung says that after two years' worth of charges and discharges, the Galaxy S7 only maintained about 80% of its total effective battery capacity. The Galaxy S8 and S8+, however, will maintain 95% of their capacity over that same period with the same usage. 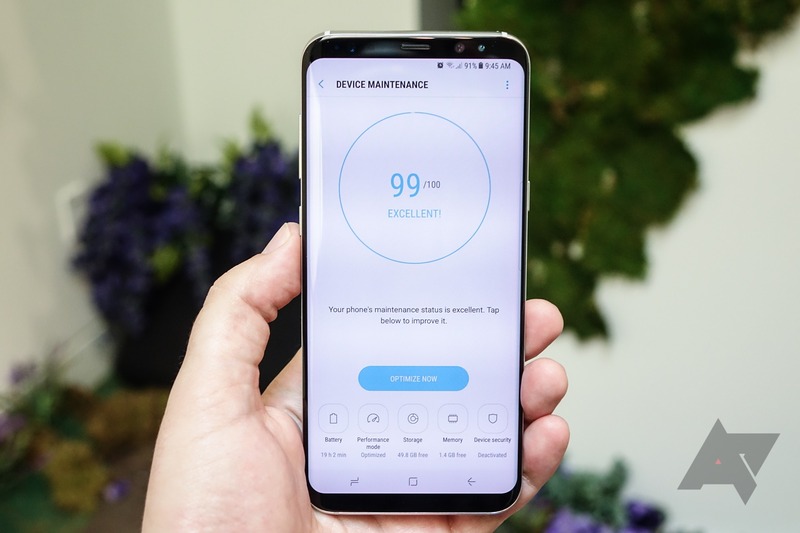 Samsung isn't going into the specifics of how this was accomplished, which isn't surprising, but it could perhaps both be the battery itself and advancements with the charging and power management systems. One of the biggest reasons average consumers see their smartphone's battery life dwindle over time is the natural tendency of lithium batteries to degrade, resulting in the loss of effective capacity. It happens to all of them. But advancements in battery technology have allowed companies like Tesla to beat the typical degradation curve. It seems Samsung is making advancements in this area, too, or at least its suppliers are, and that's good to know. So, while the actual rated capacity of the S8 and S8+'s batteries aren't much to write home about, they should at least fare better in the long run compared to those in last year's phones. It's rare that we get an insight into the long-term performance of a new product right out of the gate, so I definitely felt this was a tidbit worth sharing on its own.